Gary Aiken is one of the few Chartered Surveyors with over 30 years' experience in the specialist Marine Property sector. 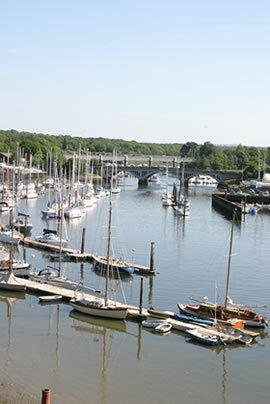 With UK wide market knowledge and experience on valuation issues relating to Coastal and Inland Marinas, moorings, brokerage, chandlery, yacht clubs, boatyards and harbours and having extensive knowledge of Riparian Rights and Marine Land Law, we are well placed to advise owners or occupiers on valuation and leasing issues relating to “wet land” including foreshore, seabed, riverbed canal or waterfront properties. Our work in this area includes. Want a fair deal with the Crown Estate or Duchy of Cornwall on foreshore rents? The Crown Estate and Duchy own around 60% of the coastline around the UK. With our specialist knowledge of many transactions and the intricacies of the Crown Estate Act 1961 we are able to bring about very beneficial rents and lease terms on behalf of our Crown Estate and Duchy tenant clients. We have the experience to guide landlords of harbours and rivers to grow the value or their property asset significantly with our skill in identifying any under performing areas within their marine estate. Looking for specialist property to suit your use in a maritime location? Wanting to sell your marina? Want to buy a marina? Our specialist knowledge of the players in the marina market enables us to find opportunities to purchase or sell marina businesses. Many marina and moorings operators think there is little point in appealing their Rateable Value as they are advised that a national formula has been agreed with The Yacht Harbour Association. With a detailed knowledge of marina businesses, the formula and its weaknesses, we are able to negotiate significant decreases in appropriate cases. Let us be your agent for dealings with the Valuation Office Agency ensuring any returns of trading figures or rents are presented to advantage. negotiated a rating appeal on the 2010 Valuation List at Parkstone Yacht Club’s Marina and premises in Poole bringing about a reduction in Rateable Value from £230,000 down to £113,000. negotiated a rating appeal on the 2010 Valuation List at Lake Yard in Dorset. This is a boatyard and Marina premises where agreement was a reduction in Rateable Value from £72,500 down to £38,500. negotiated a rating appeal on a Dorset moorings business leading to the owner's rates being reduced to only 40% of their pre-appeal level. negotiated a reduction in the Rateable Value of a Drystack in Hampshire to 50% of its pre appeal level. Contact us now for your free Business Rates Audit. Upon confirmation of your instructions, we will inspect your property, carry out research, make a Business Rates Appeal if appropriate and promote a professional case for a reduction in your Rateable Value. In addition, we will advise on any action required to minimise your rates liability and we will assist in the completion of Requests for Information from the Valuation Office Agency (VOA). Simply call Gary Aiken on 07941 768099 or email gary@aikencommercial.co.uk with your contact details, address, postcode and details of any rent passing on your property.